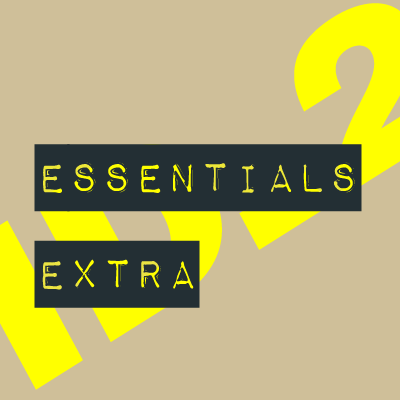 ID_2 Essentials Extra is a collection of brand new FX, beats and elements and it's now available as a buyout. This is a package of 150 exclusive never-before-heard multi-effects cuts, including new killer impacts and slammin' beats and grooves. It's a diverse radio imaging and production toolkit that's designed to be hugely versatile and capable of generating extreme sonic excitement. Incredibly, the demo only uses 38 out of the 150 cuts you get in the package, and many of those are cut down and not even used in full; the demo's barely scratching the surface of the package's possibilities. And as with the other Essentials Series demos, we've done no mastering or processing to the demo whatsoever, only brickwalled to prevent overs. So the sound you hear is simply how ID_2 Essentials Extra sounds right out of the box. ID_2 Essentials Extra is an awesome complement to ID_2 Essentials Vol. 1 or Vol. 2 and is now available to purchase and download as a buyout in full quality 24 bit WAV. Just get in touch with us with your details we'll get straight back to you with a price tailored to your station and usage.